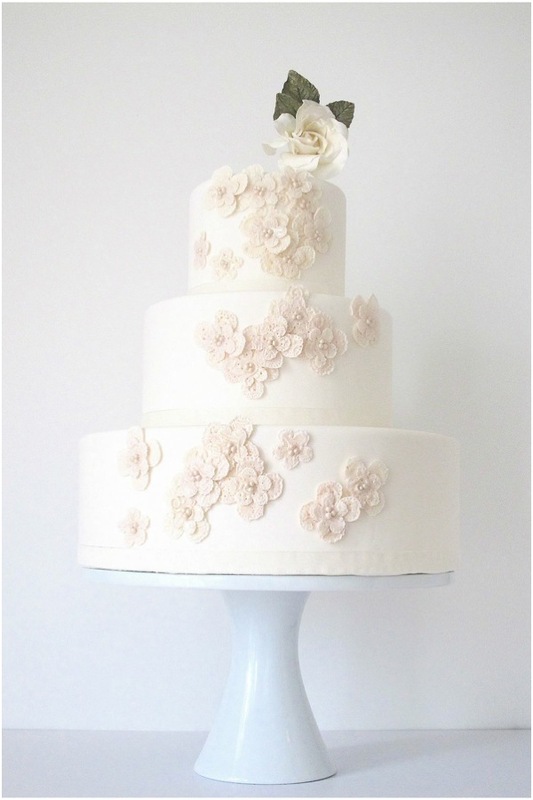 Maggie Austin Wedding Cakes are designed with sophistication and modern elegance in mind. Take one look at one of her exquisite creations, and you will see the craftsmanship in each intricate detail. 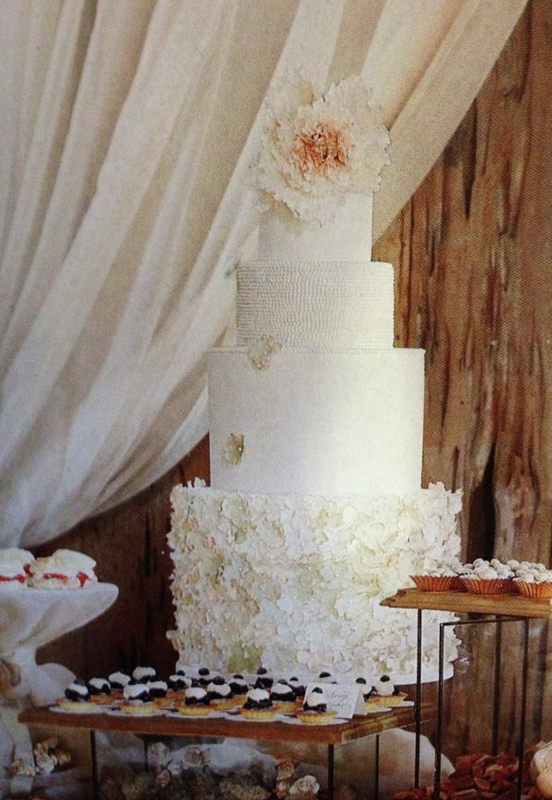 There’s a reason she’s a hot commodity in the wedding cake industry! 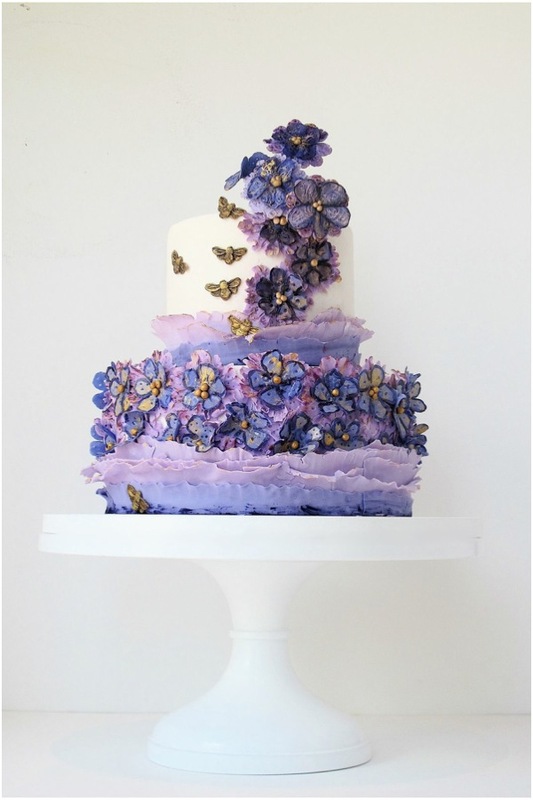 Can you believe the flowers on some of these cakes? 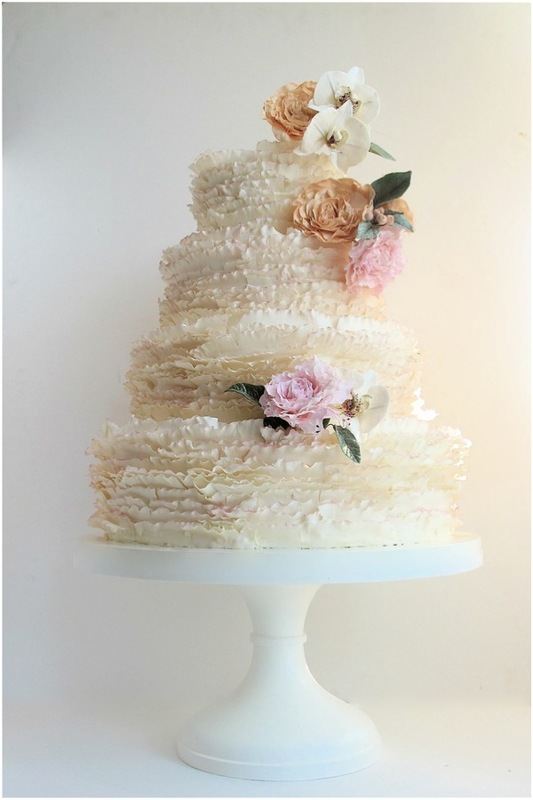 They are so pretty and perfect we’d be afraid to cut into them! 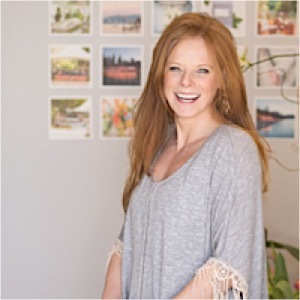 Austin’s artistic and unique approach makes her work one of our favorites. Happy cake admiring everyone! 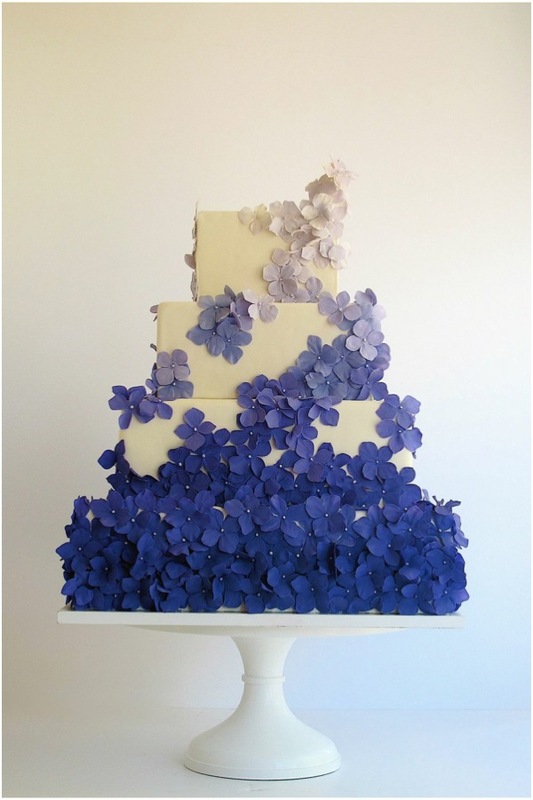 This cake would be a perfect way to incorporate your wedding colors! 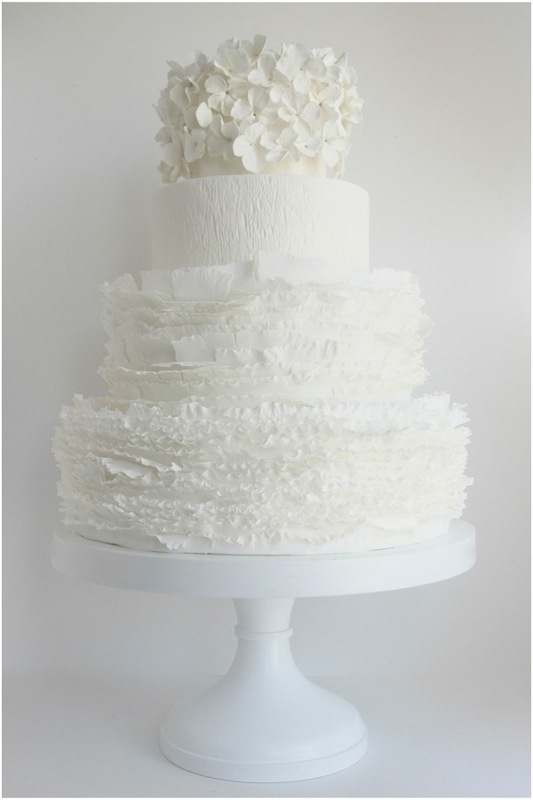 We especially like the combination of ruffles and flowers. 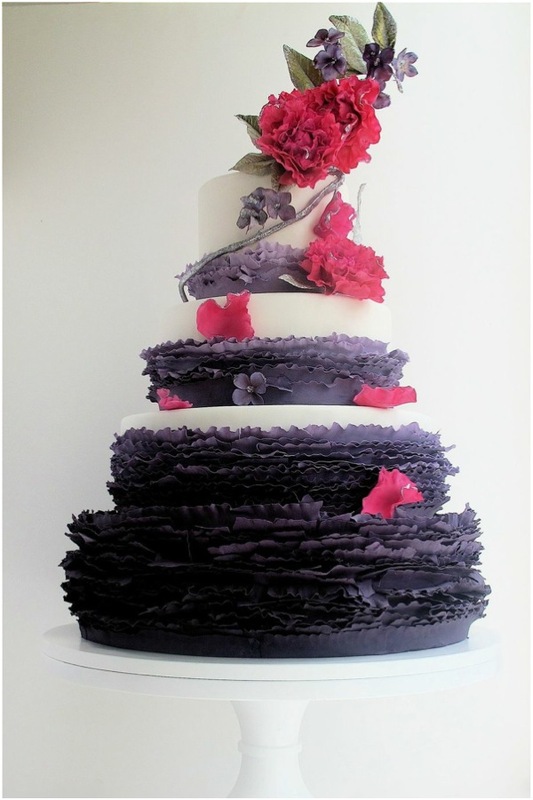 The colors on this ombre ruffled cake go together perfectly! Classic and subtle. 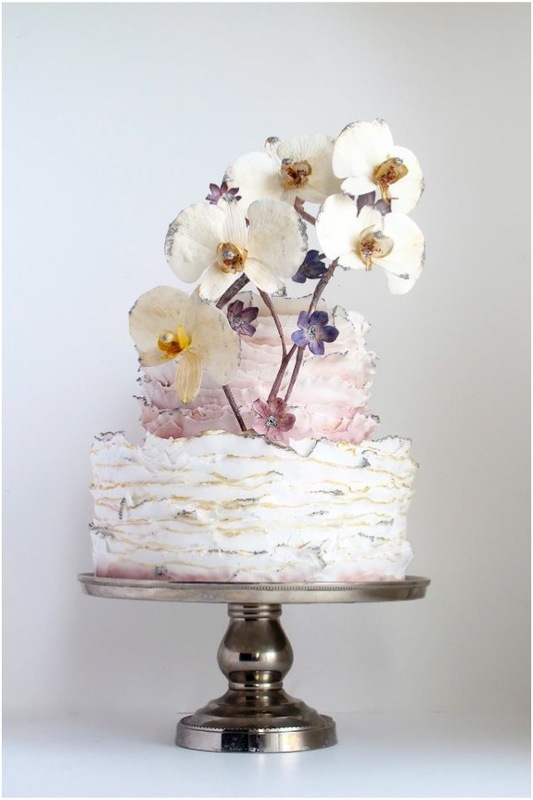 This blooming cake is full of intricate floral confections! So eye-catching. 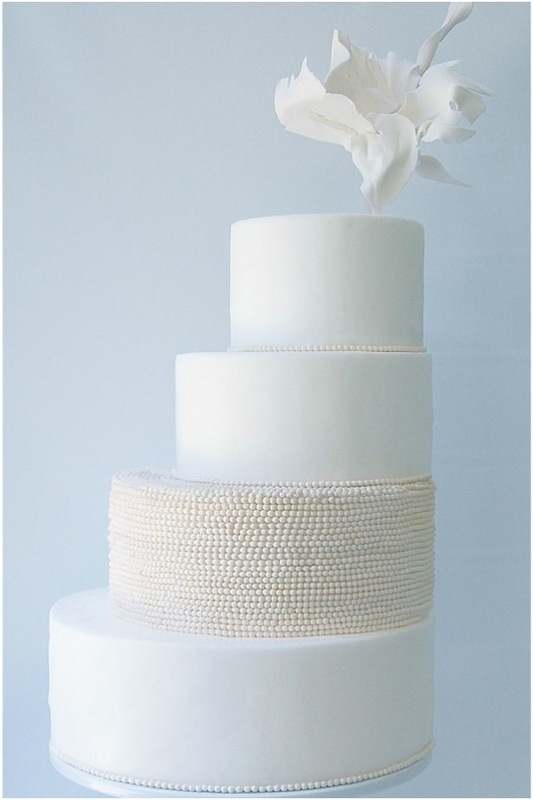 A unique tier design makes this pearl inspired cake a favorite of ours. 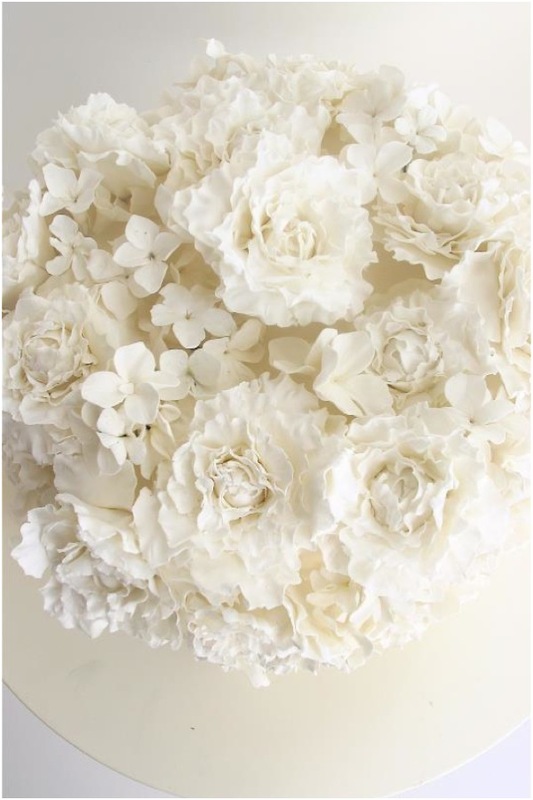 We have no idea how Austin topped it with such a beautiful flower, but we love it! 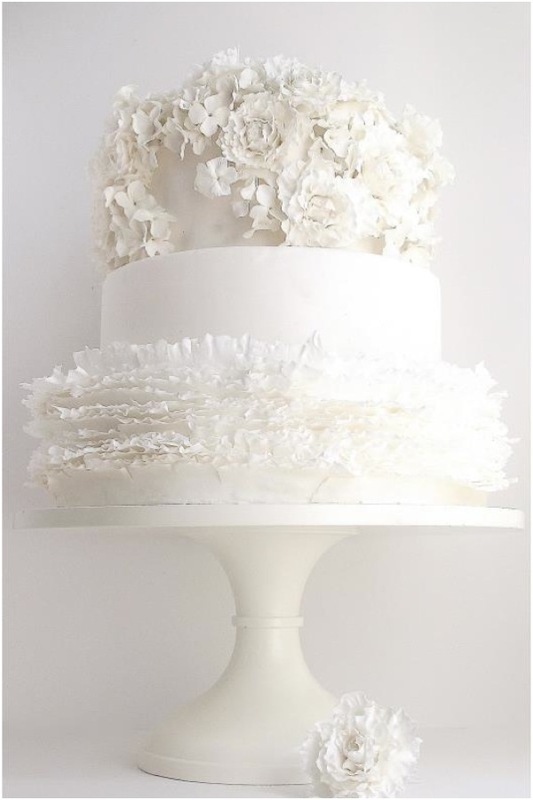 Cake design this season is all about textile-inspired details. 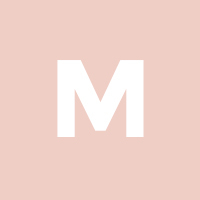 Whether it’s a delicate lace appliqué or a cascade of frills edged in blush, I love drawing inspiration from the runways. Haute couture garments have a kind of dynamic movement that translates beautifully to confection. When light passes through these paper-thin elements, the effect is breathtaking. Another hot trend? Pearls. 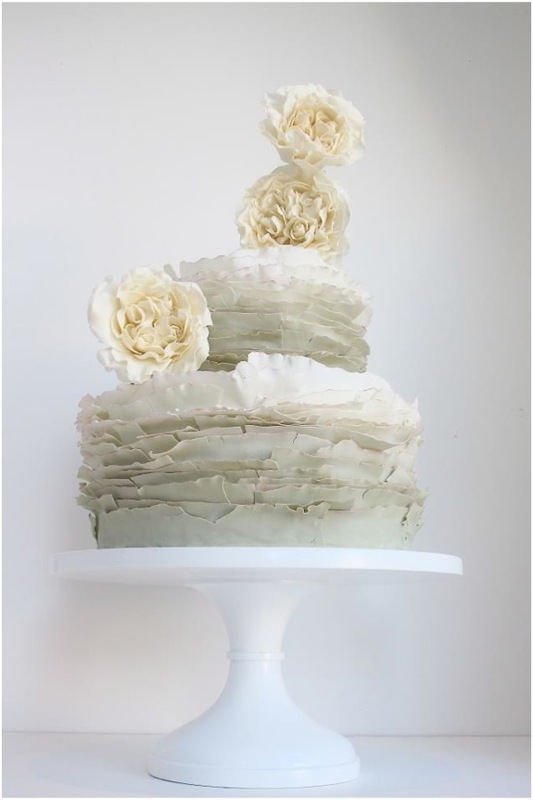 Sometimes I go overboard and cover an entire tier in this glowing spheres and other times I uses them as accents by perching them on a sugar petal like a decadent dewdrop.